Trekking in the Knuckles Mountain Range was one of the best parts of our trip and something that we would highly recommend. 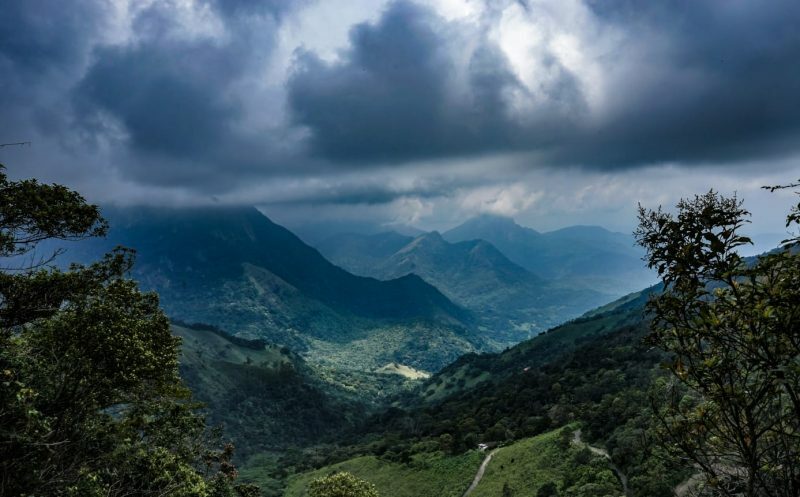 After booking our flights to Sri Lanka one of the first things we looked at was trekking options. But researching treks in Sri Lanka wasn’t as easy as I had hoped. There were the popular walks, Adam’s peak, Ella’s Rock, Little Adam’s Peak (all of which are great) but we wanted something more off the beaten track. A bit more of an adventure. We could find very little information but settled on trekking in the Knuckles Mountain Range. Here is what we experienced. The Knuckles Mountain Range lies in central Sri Lanka. There are various ways to access it, but the easiest and most convenient for the majority of travellers is to start in the city of Kandy. 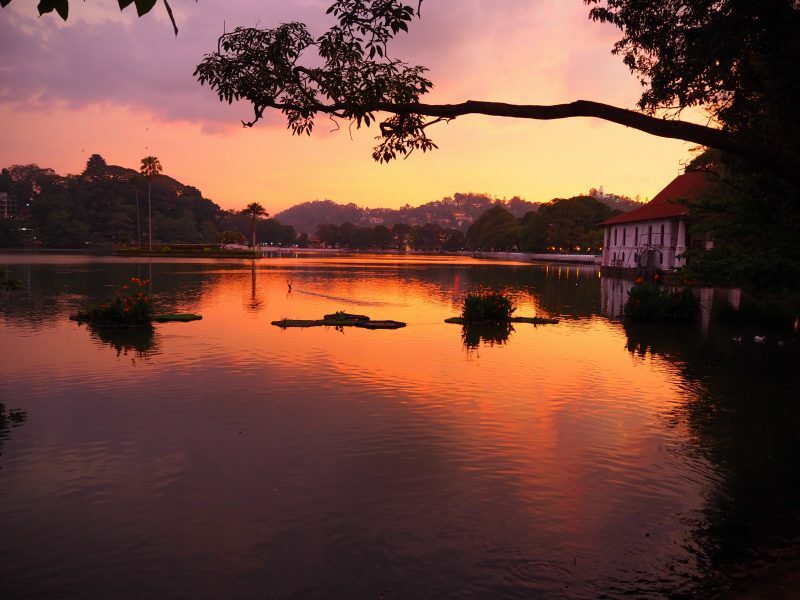 We’re not huge lovers of cities so we planned our trip with minimal time in Kandy. What we did see of the city was beautiful. The lake in the centre is stunning at sunset, with the water turning pink and orange and huge bats flying over the water to nest in surrounding trees. There was a really pleasant feel to the city and we would have been happy spending a day or two here if time had permitted. We stayed over night at a homestay booked through air bnb. The family were lovely, and so were their many cats! They made us feel at home with tea and biscuits after our long journey and it was nice to be in a slightly separate part of the house so we didn’t feel bad about getting up at silly o’clock to start our trek (not that they would have cared as they were up way before us, making us feel incredibly lazy for our 5.30am lie in!) You can book with them here. The homestay in sri lanka was lovely. We would have loved to go alone but after reading up on trekking in the Knuckles Mountain Range we decided the many unchartered paths, unpredicatable weather and lack of decent maps of the area meant we would have to take a guide. We booked with Sri Lanka Trekking http://www.srilankatrekking.com/trekking.php which I would rate very highly. Although we had good contact with them from the moment we booked I always get a bit nervous that I will have misunderstood something or booked the wrong dates so I spent breakfast fretting while Adam fed all his to the cats! Our guide, Prabeth, was prompt and very friendly. He took us to a local cafe and insisted on buying us a coffee before we set off on about an hours drive to reach the start of our trek. The beginning of the trek led us through beautiful green woodland covered in butterflies. Prabeth knew the name of every tree, flower and insect but his particular passion was birds and he was extremely excited when I bought out a pair of cheap binoculars. This is a huge benefit of having a trained local guide, there is so much we would have missed without his knowledge. One of my favourite parts of the trek early on led us through a tiny collection of houses amongst fields and fields of rice paddies. We had lunch provided by the company and ate next to a waterfall, resting our feet in the cool water. If you don’t like spice then bring your own food, most of my lunch was fed to the hungry fishes!The Knuckles Range is beautiful. We really liked trekking in the knuckles range. We thought the knuckles range mountains were a real adventure. If you go to the knuckles range mountains bring your own lunch. On our way to sky camp where we would spend the night we spotted a rattle snake in the long grass, a countless array of lizards and numerous colourful birds (that to be honest all looked the same to us but apparently were very different!) Sky camp was a line of metal roofed huts with tents set up in each. The view was spectacular, get up for sunrise and you won’t be disappointed! There were clean showers, cups of tea and a delicious cooked dinner. If you’re not completed exhausted there is more stunning scenery a short walk from the camp that you can explore on your own. We fell asleep, exhausted, to the sound of crickets. Sleeping in the knuckles mountain range was an amazing experience. 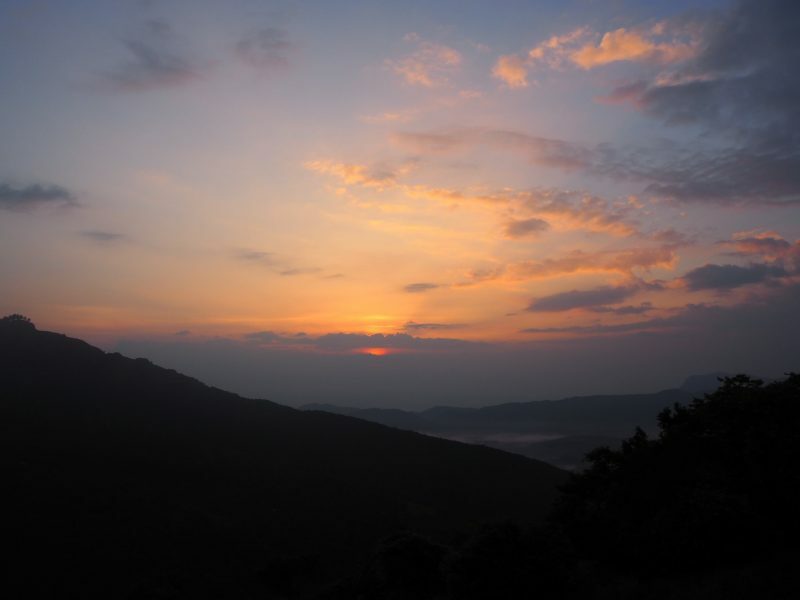 We had the best nights sleep in the knuckles mountain range in sri lanka. Sri lanka has amazing mountains. The knuckles range in sri is the perfect place to trek. The next day was slightly more strenuous as we climbed to the top of one of the peaks. We were greeted with stunning views, even through the clouds. The walk through a ‘cloud forest’ provided a completely different scene again and we spotted barking deer and leaf nosed lizards found only in a certain small area in the mountains. Lunch was provided by a family from a village we trekked through. There was a wide choice of food and we were welcomed into their house and made to feel at home. We were disappointed that the second day wasn’t a bit longer (we were picked up at about 2pm) but even the drive back to civilisation was incredible (and a little terrifying, if you’re anything like me you’ll spend the whole way down gripping your seatbelt) Overall we would highly recommend the trip. Trekking in the Knuckles Mountain Range was moderately strenuous (we’re not the fittest but have done lots of mountain trekking before), the changing scenery was beautiful and our guide was faultless. It was an amazing way to get away from the busy towns and cities. If you’re looking for more great treks in Sri Lanka then check out this guide to a beautiful waterfall trek in Nuwara Eliya. 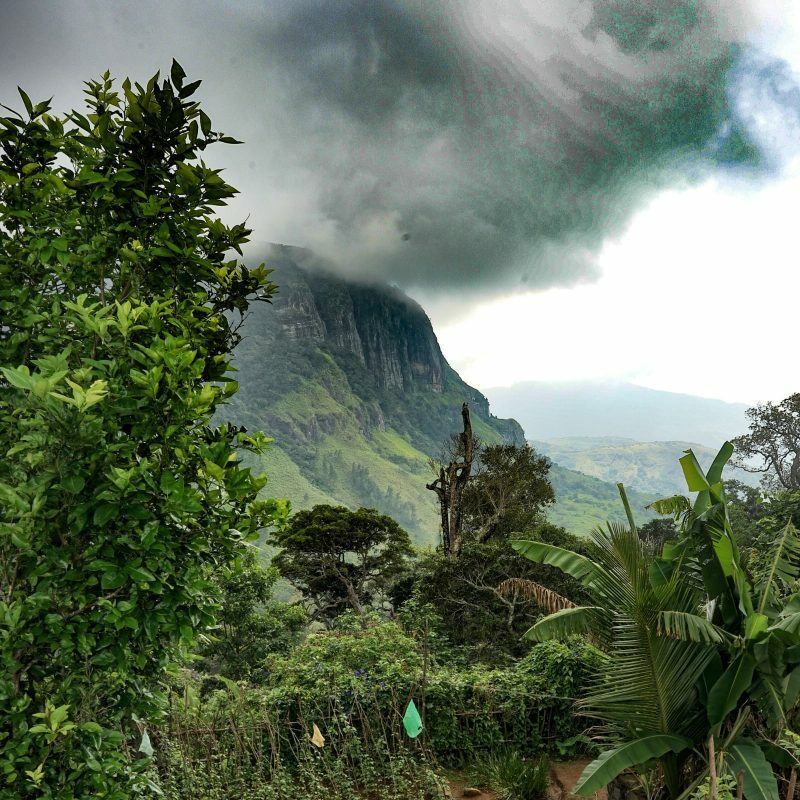 If you’re in Sri Lanka you should go to the knuckles mountain range. The knuckles mountains in sri lanka are a must see. 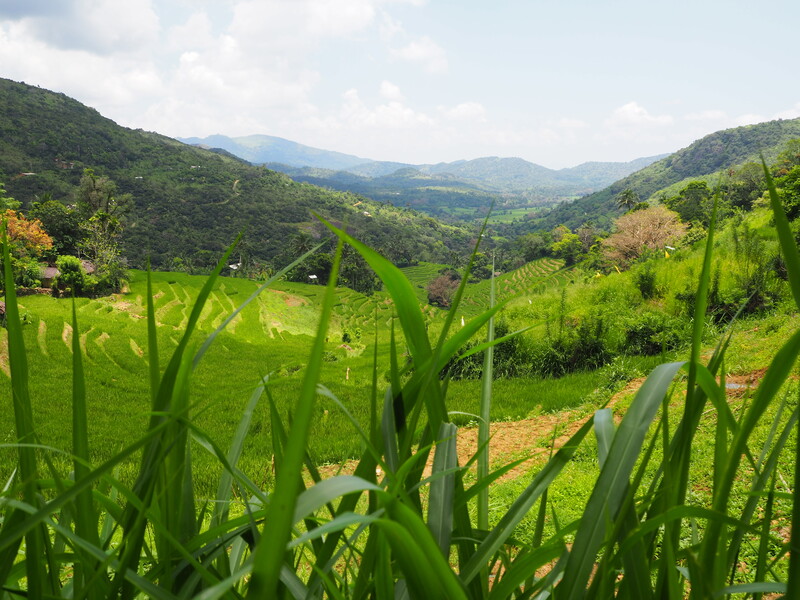 Go trekking with sri lanka trekking company in the knuckles mountain range. You won’t regret going trekking in the knuckles mountains. We think it is one of the best things to do in sri lanka. Just go to the knuckles mountains. Leave as much luggage as possible at your homestay/hotel, you won’t need much and the walking will be easier without heavy backpacks! If you can’t leave them let the trekking company know and they can store them in the vehicle. Bring water. We were asked on the way there how much we would drink on the second day and our guide bought supplies for us which were dropped off at camp. Been trekking in the Knuckles Mountain Range? Have any questions? Let us know your experiences below!